The training videos offered below were created as a result of requests from community organizations. They were completed with the help of numerous partners, sponsors, presenters, and/or actors. They are also available in closed captioned versions. 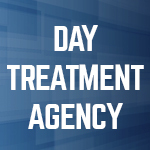 The purpose of this video is to train employees of Day Treatment Agencies (DTAs) that serve developmentally disabled populations in the Incident Command System (ICS). 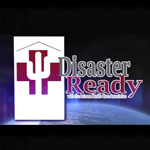 The 45minute ICS video is to enable disaster planning and, ultimately enable DTAs to participate in the DTA Consortium, and Arizona-based group of DTA leaders sharing lessons learned and offering free disaster plan templates, instructional videos for case managers, guidebooks for family/caregiver disaster planning, and more. Accompanying the video are Power Point slides supplementing the video to help viewers prepare for certification exams (100, 200, 700, and 800). Links are provided to additional information and exams on the FEMA website. 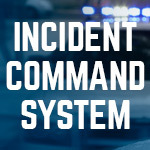 The Incident Command System (ICS) video was created to instruct how to customize ICS to fit existing organization structures. It was developed at the request of hospitals, corporations, schools, community health centers, and long-term care facilities, seeking an abbreviated and engaging platform for training. Accompanying the video are Power Point slides supplementing the video to help viewers prepare for certification exams (100, 200, 700, and 800). Links are provided to additional information and exams on the FEMA website. The Active Shooter Action Plan was developed at the request of the school district consortium in Arizona. It is specifically designed to spur discussions among teachers and other employees of school districts, charter schools, and school risk management organizations, but may be accessed by city law enforcement or other interested organizations for purposes of community preparedness. 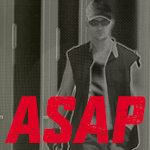 Due to its mature content, the ASAP video is password protected. Access instructions, recommended questions to consider following audience viewing, and access to the video are offered through this link. This particular video may also be downloaded for convenience. 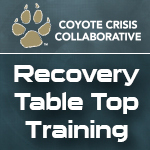 The Recovery Table Top Training videos were conducted at the request of corporate representatives. However, school district, hospital, and long-term care facility representatives indicated a desire to hear from experts in their field as well. Panelists rehearsed as the feature program of a monthly Arizona Association of Contingency Planners’ meeting. Although the presentations occurred consecutively, separate videos are also available by industry type.